Fire Pits are the perfect way to extend your backyard use. 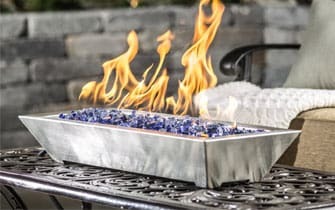 Whether you are roasting marshmallows or enjoying a romantic evening with your loved one, we have the perfect fire pit that will enhance your outdoor experience. So sit back, relax and enjoy the comfort and ambiance that fire pits offer.